Canadian Prime Minister Justin Trudeau on Monday urged Pope Francis to visit Canada to apologise to indigenous peoples for the Catholic Church's treatment of aboriginal children in schools it ran there. 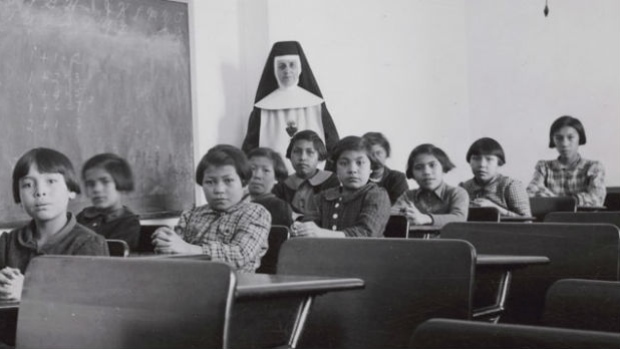 Starting in the late 19th century, about 30 percent of children of Canada's native peoples, or about 150,000 children, were placed in what were known as "residential schools" in a government attempt to strip them of their traditional cultures and ancestral languages. For over a century, the schools were government-funded but many were administered by Christian Churches, the majority by Roman Catholics. "I told him how important it is for Canadians to move forward on real reconciliation with the indigenous peoples and I highlighted how he could help by issuing an apology," Trudeau told reporters after meeting the pope. He said he had invited the Argentine-born pontiff to make the apology in Canada. Canada's Truth and Reconciliation Commission said in a 2015 report that the practice, which kept children from the First Nations, Inuit and Métis peoples far from their parents, amounted to "cultural genocide". The commission made 94 recommendations, including that the pope issue a formal apology in Canada to survivors and their descendents for the Church's "role in the spiritual, cultural, emotional, physical abuse" of the children. Trudeau said that in their private talks, the pope "reminded me that his entire life has been dedicated to supporting marginalised people in the world, fighting for them, and that he looks forward to working with me and with the Canadian bishops to figure out a path forward together". Canadian bishops have said the pope might visit next year. Trudeau said he and the pope also discussed climate change. 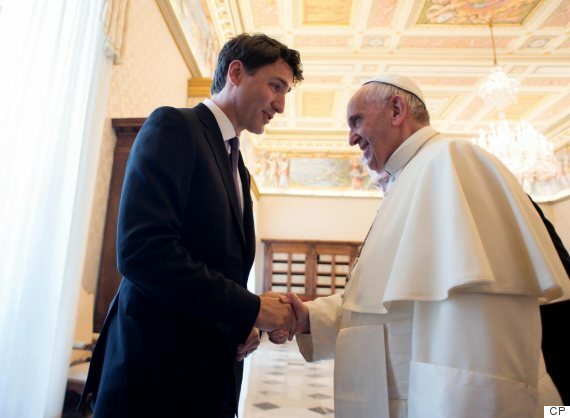 Unlike U.S. President Donald Trump, who met the pope last week, Trudeau and Francis agree that climate change is caused by human activity. "We talked about how important it is to highlight the scientific basis of protecting our planet and the moral and ethical obligations to lead, to build a better future for all people on this earth," Trudeau said. Responses to "Trudeau invites pope to Canada for Church apology to indigenous peoples "
Thanks for a new information. Actually, church mortgage in USA source is a big factor.A right source can efficiently help you that may be fruitful for a church.